Today’s feature image comes from Hall House in Victoria by one of my favourite designers, Sisalla Interior Design. 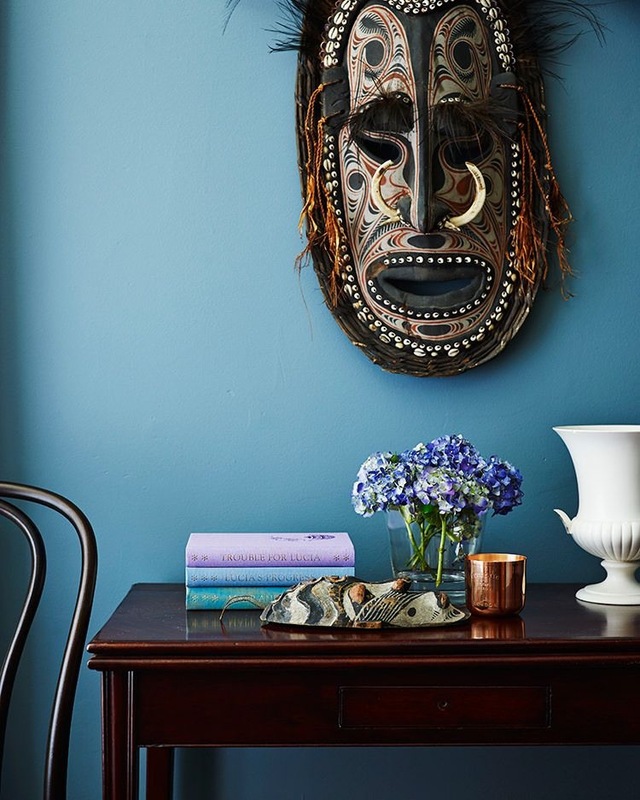 Occupying a nook at the end of a hallway, this beautifully styled console, the work of stylist Andy Moore, creates a gorgeous focal point in the entry. Hall House by Sisalla Interior Design. Styling by Andy Moore. Photography by Eve Wilson. But just how do you create a console scene like this? Buy beautiful accessories? Gather a few of your favourite things? Partly, yes. But the answer lies mainly in vignettes. A vignette is a styling technique used to create an aesthetically pleasing arrangement of items that looks and feels right. A traditional vignette typically works from top to bottom, i.e. it flows from the wall down to the floor, using a combination of art, furniture and decorative pieces. Now though, vignettes can be created anywhere and in a number of different ways. 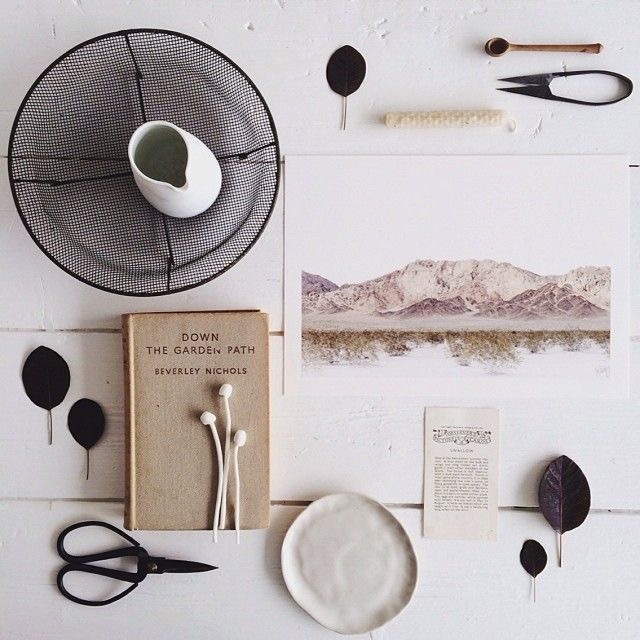 The term is used to describe virtually any arrangement or display of items that tells a story and looks visually appealing, including flatlays. The classic vignette works particularly well with console tables, where there is both wall and floor space to work with. Varying heights, shapes and textures create an interesting yet coherent display. Hall House by Sisalla Interior Design. Styling by Andy Moore. Photography by Eve Wilson. Art by Otomys. 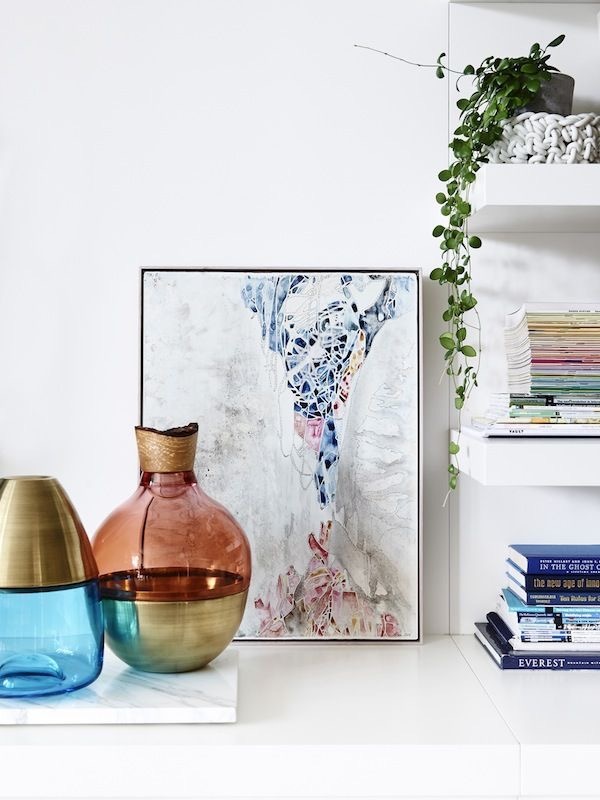 In the feature image, you can see the vignette starts with the art, travels down through the flower and vase, the accessories, then down to the stacks of books, and finally to the base of the console. The rug is the final piece of the vignette. The vignette creates a shape, with points of focus, that lead you through the display. Of course, none of this happens consciously. It’s just part of how the vignette works. This one has a lovely zig-zag direction, starting at the top right hand corner of the art. The flower placed on an angle takes your eye out to the left and then in again. Sound too technical? Well it can be. 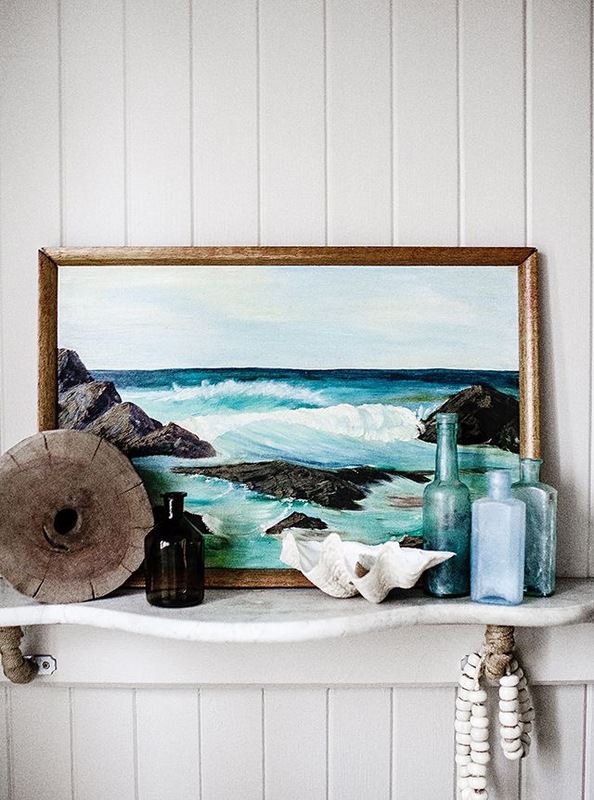 But there are a few simple tips you can follow to create beautiful vignettes in your home. Cluster items together. Try not to spread your pieces out in a row across the console. Create depth in the grouping by placing items in front of each other. Art or prints provide an excellent backdrop to groupings set in front of them. Below is a beautiful example of simple console styling. Of course, the art (or is it the cabinet?) is the hero here. But the small groupings either side give the vignette shape and movement. This is a pyramid shape, with fairly symmetrical composition, where each side is more or less evenly balanced. 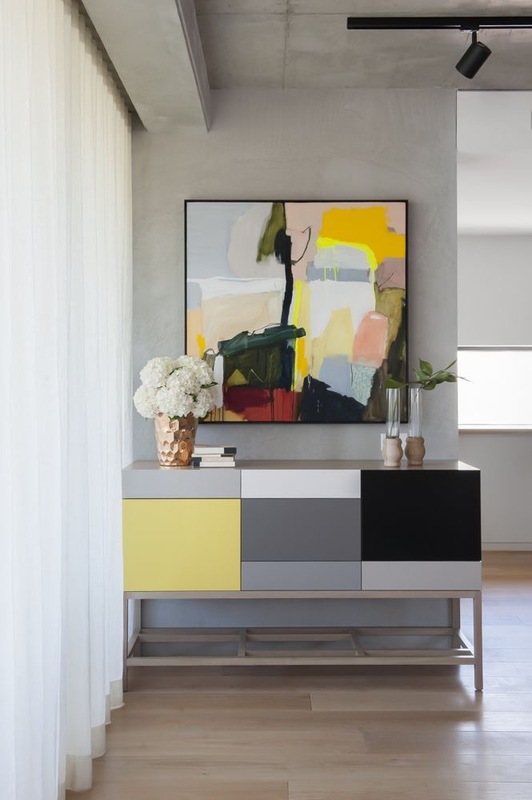 Beautiful console styling by Peschek Interiors, featuring the Echo cabinet by Zuster and artwork by Waldemar Kolbusz. Photography by Nicole England. Below is another great example of console styling, using a classic asymmetrical shape, where the stool is off-set to the left and counterbalanced by the lamp. Perfect asymmetrical styling by Arent & Pyke in their Harbour House. 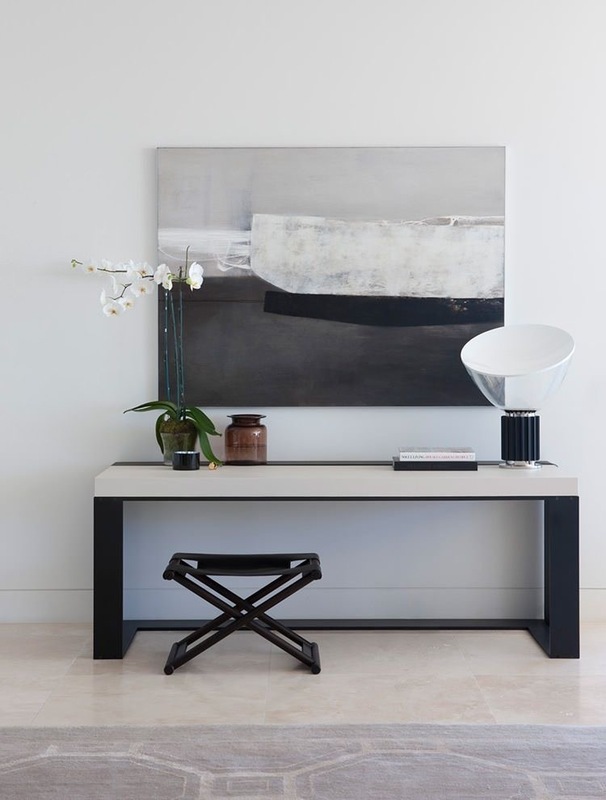 Christian Liaigre console table. Photography by Jason Busch. Vary the height ,shape and texture of items to create an interesting display on a console. Books are an ideal platform for other items and look great stacked. I love the styling below, which I think anyone can achieve at home. A leaning print, pot plant, stack of books and three vessels have created an effective display. 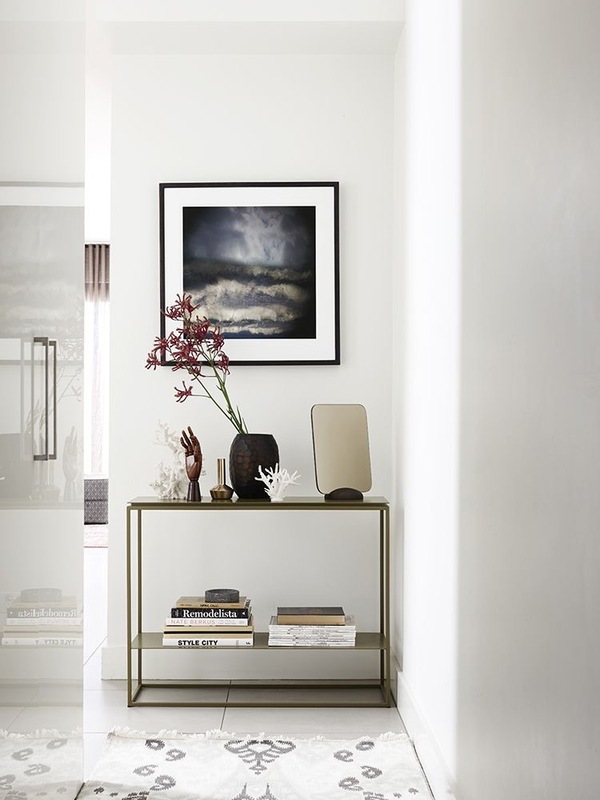 Sideboard vignette featuring ‘Pink Desert ‘from The Artwork Stylist. Photography Tom Blachford. There are really no hard and fast rules, but something that might help when styling vignettes is to work in odd numbers. For example, three vessels of varying height, five books stacked, two different candles with a piece of driftwood. 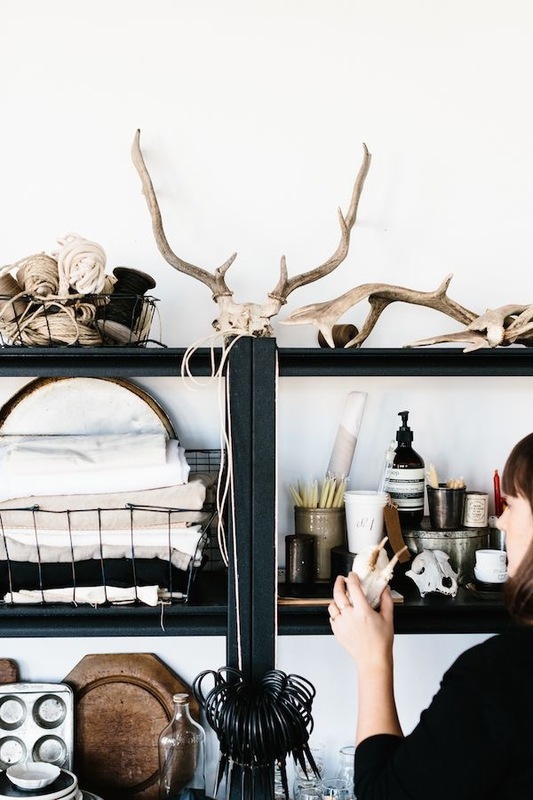 Collect things you love, include something from nature and mix up textures. Blooms are a vignetter’s dream, as they instantly add height, colour and interest to a display. 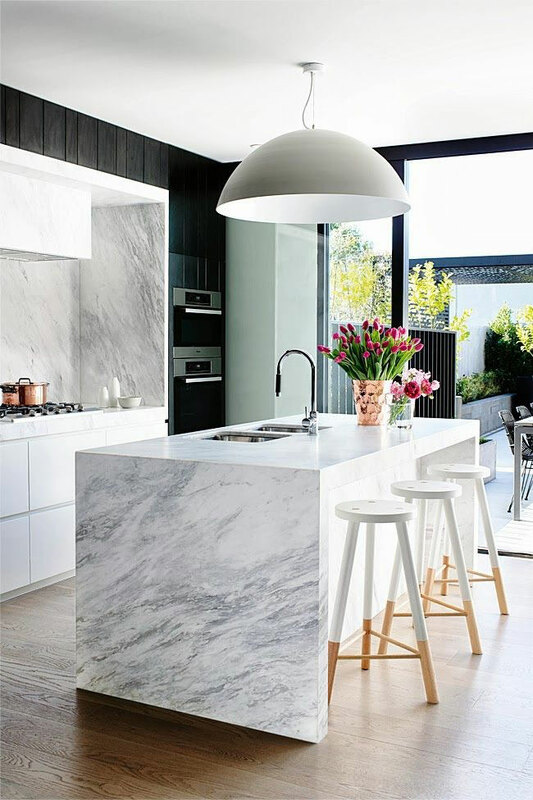 Superb styling by Megan Morton in The Avenue by Arent & Pyke. Simple blooms create a beautiful mid point and soften out the hard elements in this vignette . Photography by Anson Smart. Trailing greenery is another way to add movement and softness to sideboard styling. Melbourne apartment by Hecker Guthrie. Photography Eve Wilson. 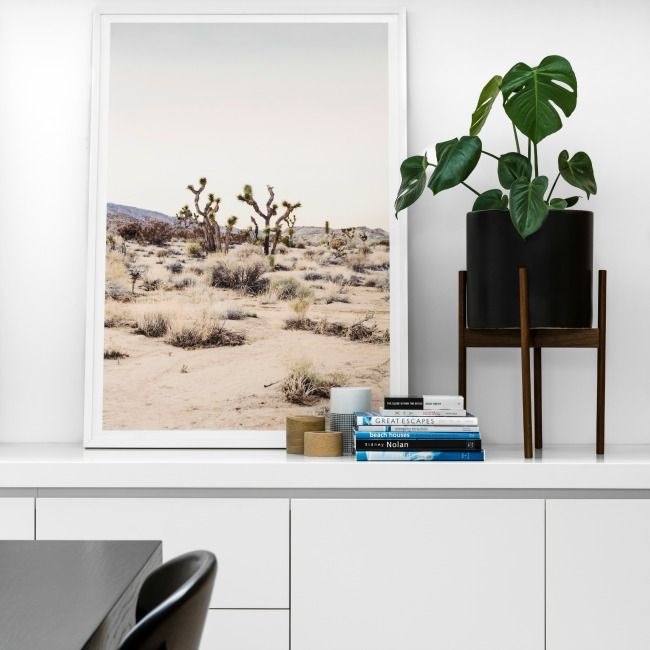 Photographer and stylist Kara Rosenlund is a master of the vignette, creating stunning, authentic scenes that reflect a very Australian aesthetic and her adventures on the road. I love her top-to-bottom styling and ever-so-casually put together vignettes. 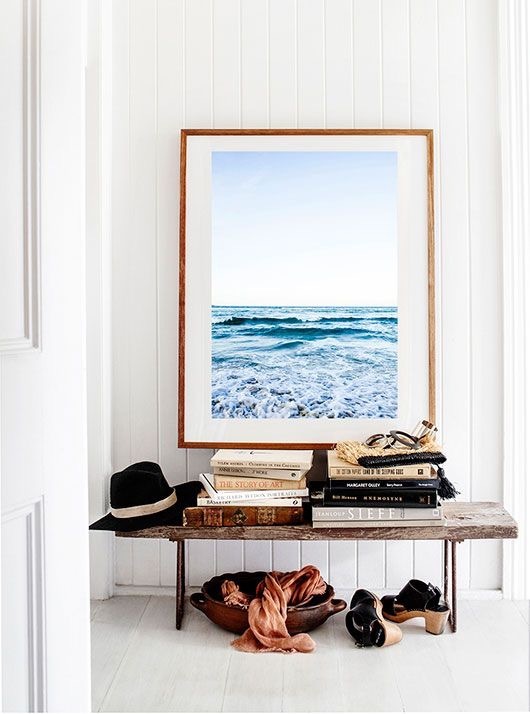 Renowned photographer and stylist Kara Rosenlund has a distinctly Australian style. Square and round shapes, varying heights, colour and texture. Perfect. Styling and photography by Kara Rosenlund. 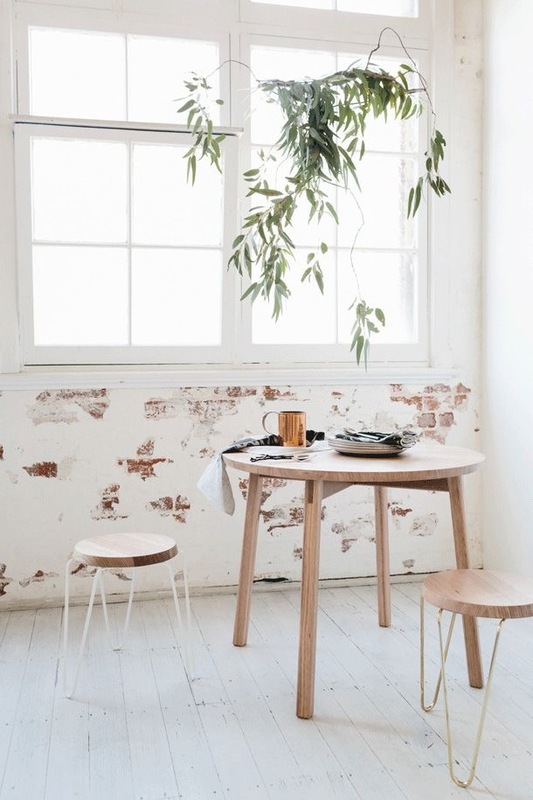 I also love the pared back style of Australian stylist, Stephanie Somebody. Stephanie Somebody styling for Tuckbox. Photography by Tara Pearce. Describing herself as a “stylist, curator, collector and creative director” Stephanie is also a master in flatlay vignettes, moody photography and travel scenes. Flatlay styled and photographed by Stephanie Somebody. And check out her incredible props cupboard! As you can probably tell, I am a big fan of vignettes. You can create them anywhere in the home, with pieces you already have and things you find outside or at the beach. With consoles, creating vignettes is a beautiful way to re-style and re-love the beautiful treasures you have. Move things around, add foliage or blooms and just have fun bringing your favourite pieces back to life. It’s a whole new art form to me. Some incredible examples you have. No prize for guessing that the relaxed Aussie ones at the bottom are my favourite. Your Instagram vignettes are amazing and after reading your post I can tell that you are passionate about it. Would love to see your console! A plant, a painting & a pile of favourite things. I myself am fascinated by the science of space and the ‘rules’ as to what works. You have painted the methodology wonderfully here so anyone can follow. I think I need an artistic eye however to pull it off in my house! Thanks for sharing a well researched & highly informative piece Jane. I hope it’s ok to link to it from my blog? I’ve a post coming out Monday evening about vignettes and I’d love to includ a mention of this. Hello Melanie. Thank you for your lovely comments and yes, of course you can link to it from your blog.